It’s hard to believe SINATE released their last album ‘Violent Ambitions’ almost six years ago! During that time some big things have happened for the band. They spent time living in Europe, toured with the likes of legends MARDUK and VADER, experienced a couple of line-up changes, and lucky for NZ Metal fans they also recorded their most brutal album yet! 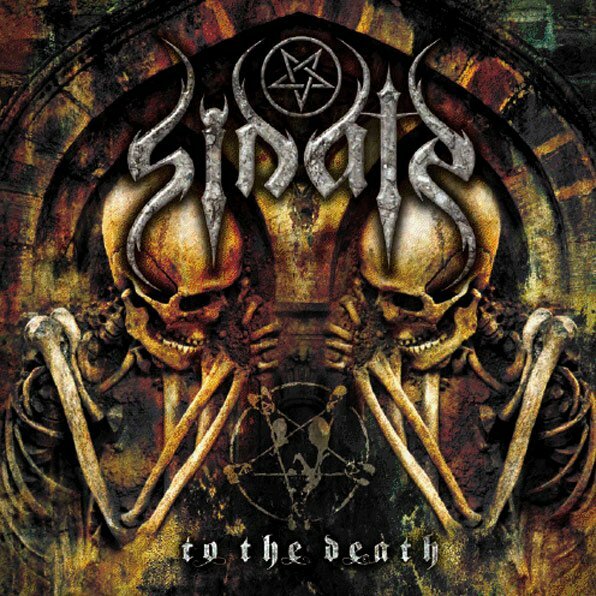 ‘To The Death’ is SINATE like you’ve never heard them before. The band which released their first two albums barely a year apart may have taken some time to put out this record, but the final product has only benefitted. With Sweden based Pelle Seather (CORPORATION 187, CARNAL FORGE) taking care of production duties for a second time, this recording has that monster production the swedish metal releases are revered for and at the same time sees SINATE reach new heights in terms of song writing and technicality. ‘Curse Of The Blood Eagle’s acoustic intro quickly surrenders to the onslaught of Sam Sheppard’s machine gun drumming, his brother Matt’s abrasive vocals (like 60grt sandpaper on an open wound! ), and a wall of punishing rhythm guitar. It’s the perfect opener this album of brutal death / thrash metal tinged with elements of black. But there’s also a new prescence that cannot be missed: The addition of ex-DAMNED AGE guitarist Matt Fawcett who joined SINATE in 2009. With Dimebag-esque squealies and whammy dives, Alexi Laiho, Kirk Hammett and Marty Friedman inspired shreds, Fawcett brings in an entirely new melodic dynamic to the band. Tracks especially showcasing this talent: ‘Godless World’, ‘Curse Of The Blood Eagle’, ‘The Pain’, ‘Premonition Of The Wicked’… pretty much the lot of them! In all, ‘To The Death’ is easily the SINATE’s best produced and most diverse album yet. Covering a range of metal from intense blackened death metal to thrash and groove this is must for metalheads in NZ and abroad! Check out the track ‘Premonition Of The Wicked’ below.